"Everything we serve goes well with water." 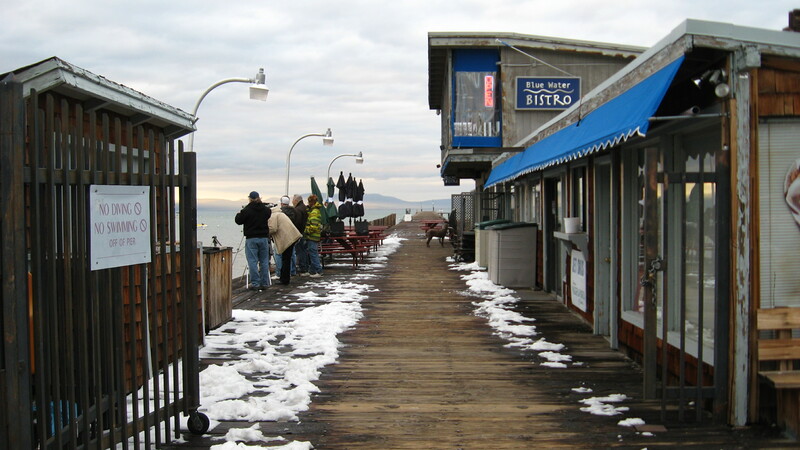 Right off Timber Cove’s boardwalk, Blue Water Bistro has one of the best views of Mount Tallac’s omniscient presence over Lake Tahoe. This plant-infested, modern dining facility, decked with artwork, has a romantic outdoor patio where customers can enjoy bistro plates of fresh seafood, organic salads, all natural poultry, filet mignon, and lobster from a French-infused carte du jour. Blue Water Bistro puts forward an impressive wine and beer list, with the unique option of organic wine. It would be a shame to miss out on discount happy hour signatures, such as the Blue Water crab cakes, steamed clams, or a cheese and fruit plate, in addition to a post-dinner stroll in the sand at nearby Timber Cove beach.